Wide in demand, our Pinewood Boxes combine both strength and utility. These boxes are extensively used in farms for packaging and transporting fresh fruits and vegetables safely. 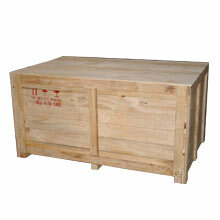 Moreover, their closed structure is ideal for storage of fragile items. It can sustain shock and heavy load for storage and transport without any risk of damage to the goods.